Make a bold design statement or create privacy with the use of decorative window film and window graphics. Solar Trends Supplies and Installs Window Films and Window Graphics that are used to enhance a Store Front Windows, create a Professional Look for an Office , complement furniture, artwork or the enhance the architecture. Window Film is an innovative product that comes in a hundreds of patterns that enables custom designing. It is virtually maintenance free, resists fingerprints, and can be cleaned as you would any other window. 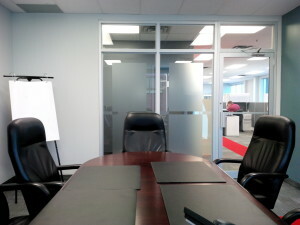 As business needs or design tastes change decorative window film and window graphics are easily replaced. 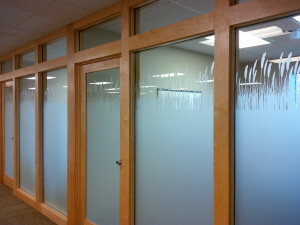 Using translucent geometric and custom patterns to heighten privacy and provide the appearance of etched glass, at a fraction of the cost to that of actual glass etching. Solar Trends’ decorative window film and window graphics are perfect for applications that require day or night privacy without sacrificing natural light. Replicate the premium look of sandblasted glass, create unique patterns, add color, or intricate layered designs – all without sacrificing natural light or aesthetics. Solar Trends is able to install the Window Film and Window Graphics desired.